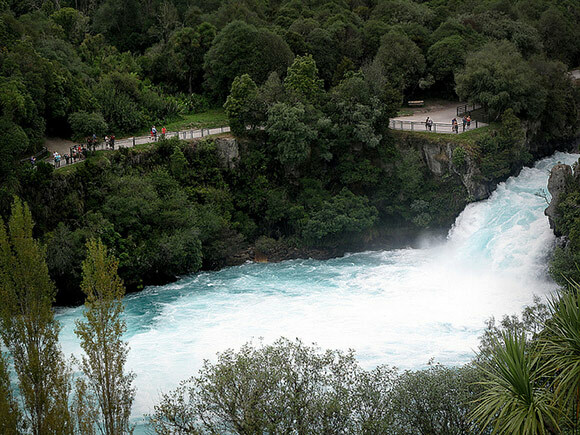 The Huka Falls Spa Park Walk is a popular tourist track that follows the Waikato River above the Huka Falls and provides some fantastic views as well as other activities. How do I get to the Huka Falls Spa Park Walk? The Spa Park Walk can either be started from Taupo, or from Spa Park itself if you choose to drive there. If you are walking from Taupo town centre, head north along Tongariro Street, then turn right on to Spa Road. Turn right off Tongariro Street into Spa Road at the roundabout north of Taupo Visitor Centre. Turn left into County Avenue and drive into Spa Thermal Park. Following the signs, walk for about 5 minutes across the park to the Waikato River. This is an easy walk and will take around 2 hours return (note that cycling is not allowed), depending how many stops and photo opportunities you take on the way. Near the start of the walk, you will notice the Taupo Bungy site. Stop here for marvelous views down into the river's gorge. Near the start of the walkway, a bridge crosses a natural hot stream where you may find people bathing in the warm waters. From here, you follow the Waikato River, past some beautiful rainforest. The track then leads away from the river and provides some great views of cliffs, mid-channel islands as well as the Huka Falls Lodge. The track then continues to come closer to the river as you come nearer to the Huka Falls which you will soon be able to hear roaring. Here the track opens on to a series of viewing balconies along the edge of the channel - this is where you'll find people snapping away at the awe inspiring views. 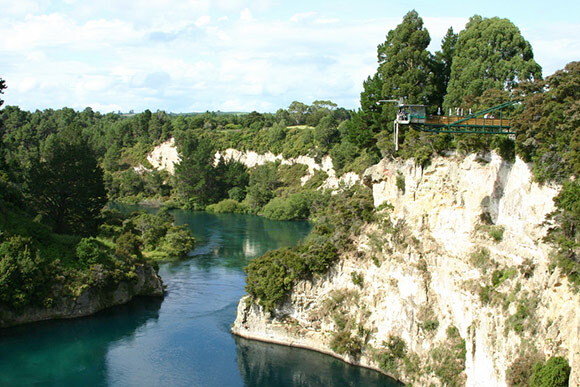 Return via the same track or arrange transport from Huka Falls carpark (which is across the bridge). 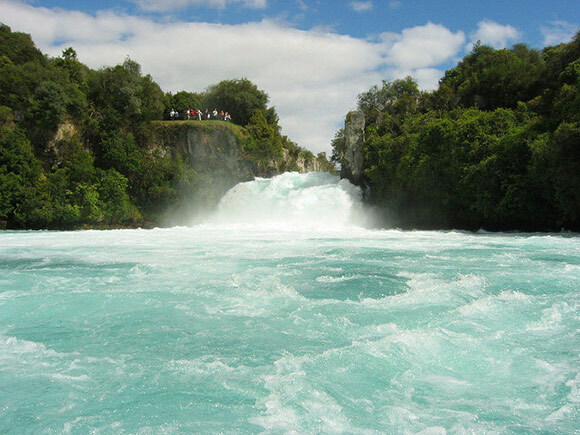 The Spa Park walk can also be linked to the Aratiatia Rapids Walk.